Credit card debt can put you on an emotional rollercoaster. You may be angry at yourself or an employer because you are unable to pay your bills. You may be sad because your financial hardship was unpreventable. You may also be experiencing fear because you are unsure of your financial rights. Before you can make rational financial decisions, you need to get control of your emotions. To do so, you will need to know what is safe and what assets may be in harm's way. Credit card debt is an unsecured loan; so basically, a credit card company cannot legally take any physical assets from you. A physical asset would be your home, car, stocks, bonds, or anything that you own that has a tangible existence. However, a credit card company can go court and win a judgment against you, which may lead to you having a wage garnishment attached to your wages. So in the long run, defaulting on a credit card debt can cause you to lose a portion of your income, which is an asset. However, this unique situation would vary according to your credit card provider. If you consider your credit rating, your FICO score, and your integrity as being personal assets then you definitely want to find a way to pay your credit card debt. Reason being, your credit rating and FICO score is your financial footprint; defaulting on your credit card will damage both of them. When you have a poor credit rating and a low FICO score your livelihood will often mirror your circumstance. Your credit rating and FICO score are what a potential lender will use to determine your credit worthiness. If the risk is too great, the lender will not extend credit to you. 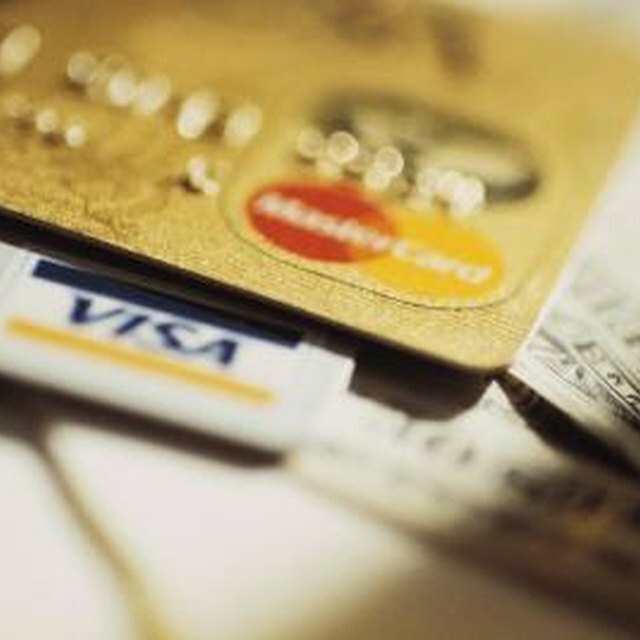 In order to avoid being deemed a credit risk, you should attempt to stay current on your credit card payments. In most cases, you will have to miss two or three payments before your credit card provider demands you pay the entire balance, including late fees and other penalties. In order to avoid a severe default, you should seek help at the first sign of financial trouble. There are numerous ways to do so. For example: you can borrow money from a parent, spouse, or friend; you can transfer the debt onto another credit card with a lower interest rate; or you can contact your credit card provider and explain your financial hardship. The worst thing to do, if faced with this circumstance, is to default or do nothing. If your credit card balance remains unpaid, i.e. 180 days or more, typically there will be no simple way to resolve the matter. Reason being, after 180 days of default, your credit card debt has been "charged off." This means your debt is considered an uncollectable debt to your lender. You will still owe the outstanding debt, but in order for your credit card provider to remove the debt from its books the debt had to be charged off. A charged-off credit card debt will be recorded on your credit report, which will directly affect your credit rating and your FICO score. In most cases, you would have seen a decline in your FICO score after only missing a few credit card payments because some credit card providers report to credit reporting agencies every month. Under the Truth and Lending Act, you have to right to view your credit report annually for free, so if you would like to see the consequences of having unpaid credit card debt, you're free to do so. In some cases, when a bad debt has been charged off, the debt will be sold to a third-party, such as a collection agency. Your credit card provider will sell your debt to the third-party at a severe discount just to get rid of it. Once the collection agency owns the debt, it will attempt to collect the entire unpaid balance from you. Collection agencies tend to use collection tactics that are slightly more aggressive than your credit card provider. However, they do have certain rules they must follow when attempting to collect a debt.